Easy to install, enhance the digital/analogue signal and strength signal quality. Input Impedance:50 Ohms. Frequency Range:1880-1920/1990-2170MHZ. Portable and convenient to use. 1x signal booster antenna. Easy to install, enhance the digital/analogue signal and strength signal quality. Input Impedance:50 Ohms. Rated Power:50W. The images are for reference only. Frequency Range:1880-1920/1990-2170MHZ. New Billet Aluminum Low Profile Napa 4003 Wix 24003 Fuel Filter 1/2-28" 1/2" UE. 14mm 18mm Male Female Glass Adapter Joint Slide Bowl Extension various size UE. 2Pin 18 20 22 24 26AWG Black Red Cable Extension Wire 3528 5050 5630 LED UE. 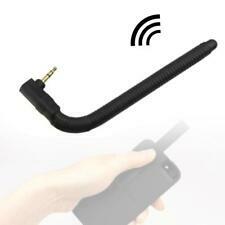 3.5mm interface FM radio antenna, replacing the traditional headphone antenna antenna. 1x Cell Phone External Antenna. Enhance the digital/analogue signal and strength signal quality. Convenient, practical, good radio effect! 1x Antenna 3.5mm. Function: Enhance the digital/analogue signal and strengthen signal. Jack: 3.5mm Male. 1x signal booster antenna. Easy to install, enhance the digital/analogue signal and strength signal quality. Input Impedance:50 Ohms. Rated Power:50W. The images are for reference only. Portable and convenient to use. 1x Antenna 3.5mm. Function: Enhance the digital/analogue signal and strengthen signal. Jack: 3.5mm Male. Product size: About 10.3 1 2.8cm. 5X(Enhance the digital/analogue signal and strength signal quality. Input Impedance:50 Ohms. Note: Light shooting and different displays may cause the color of the item in the picture a little different from the real thing. ). 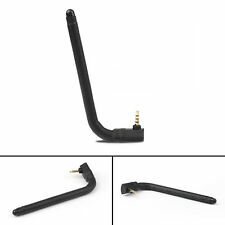 1Pc x Antenna. Input Impedance:50 Ohms. Note: Due to the difference between different monitors, the picture may not reflect the actual color of the item. Connector Type:2.5mm or 3.5mm. 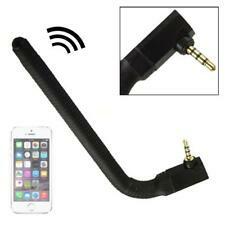 1x Cell Phone External Antenna. Enhance the digital/analogue signal and strength signal quality. Jack: 3.5mm Male. Gold plated connector for better signal transfer. Canada, United Kingdom, Austrilia, France, Germany, Spain, Ireland, Italy, Others. 1x signal booster antenna. 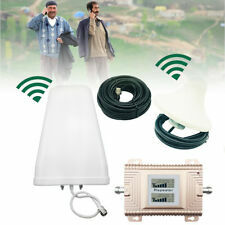 Easy to install, enhance the digital/analogue signal and strength signal quality. Input Impedance:50 Ohms. Rated Power:50W. Connector Type:2.5mm or 3.5mm. 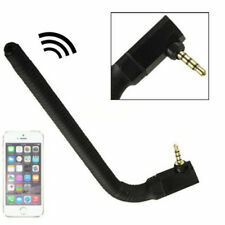 3.5mm jack external antenna for cell phone radio and small speaker. 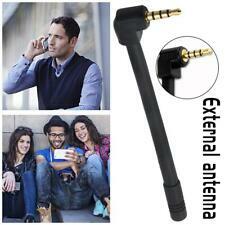 3.5mm interface FM radio antenna, replace the traditional headset line as antenna. Convenient, practical, and brings good radio effect! 1x signal booster antenna. Easy to install, enhance the digital/analogue signal and strength signal quality. Input Impedance:50 Ohms. The images are for reference only. Connector Type:2.5mm or 3.5mm. 1x signal booster antenna. Easy to install, enhance the digital/analogue signal and strength signal quality. Input Impedance:50 Ohms. Rated Power:50W. Connector Type:2.5mm or 3.5mm. Frequency Range:1880-1920/1990-2170MHZ.